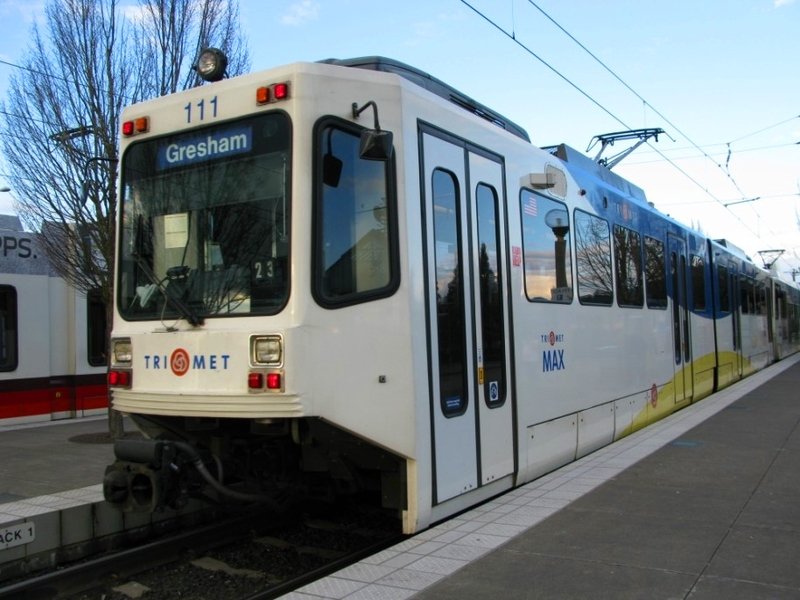 We call them Type 4s since they are the 4th kind of train in TriMet’s fleet, but the actual vehicle model (Siemens S70) is used in several other transit districts where it wouldn’t be called that. 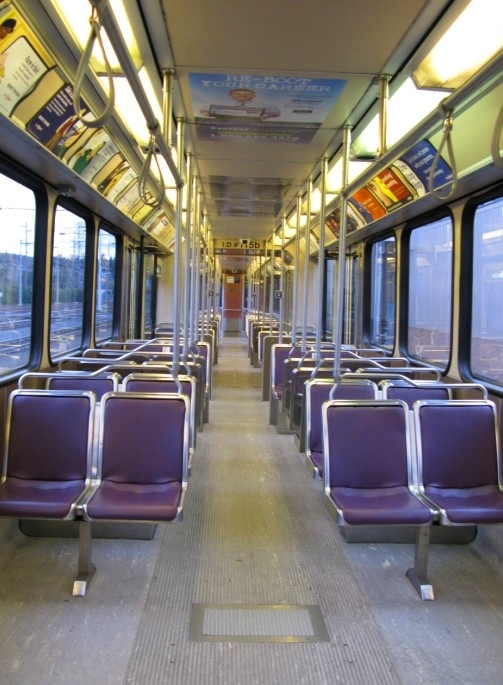 Here’s a look at the Utah TRAX version – like all other versions of this train with the exception of TriMet, there’s a cab in both ends (ours has a cab only in the A-end). TRAX apparently requested a shorter model for their trains as the cabs look smaller and the front of the train seems to be more blunted than TriMet’s. The interior seating configuration is also different. And here’s how one of the cars is built in a video for Norfolk’s TIDE light rail. This is someone’s video out the front of one of the cars in San Diego. 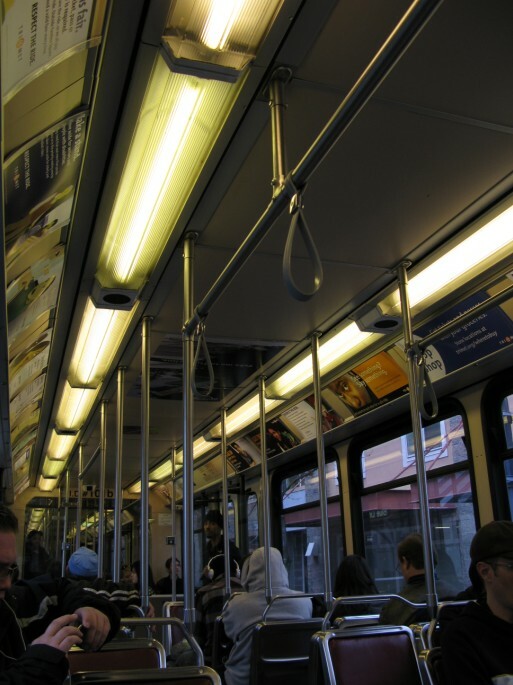 I envy the mirrors on the San Diego trains – TriMet decided to use cameras instead of external mirrors for the Type 4s, which are not nearly as effective as mirrors. In Charlotte on the LYNX. And Houston’s METRO, which has the dubious honor of being the one of the most accident-ridden light rail systems. The Type 2s and 3s (official model is Siemens S660) and the specific Bombardier model that is our Type 1 weren’t used by other transportation agencies as far as I’m aware. So close yet so far.. Fellow blogger Eva started it when she worked at rail – attempting to get her “dream shot” – a picture of each of the 4 train car types next to each other in the yard. She eventually got it, but the cars weren’t in order from oldest to newest. So when I saw this at Elmonica today it got my hopes up – only 4 trains in the yard? A type 1 all the way to the left and a type 4 all the way to the right?? Could this be it? But no, the 2 and the 3 are on the wrong tracks to make it work. So close yet so far. But this shows you what the storage tracks at Elmonica look like at least, I guess. This is basic stuff for people who already know a bit about MAX, but I’ve seen people question what things like “Type 1” or “Type 4” refer to, so here’s a quick overview of the train car types. 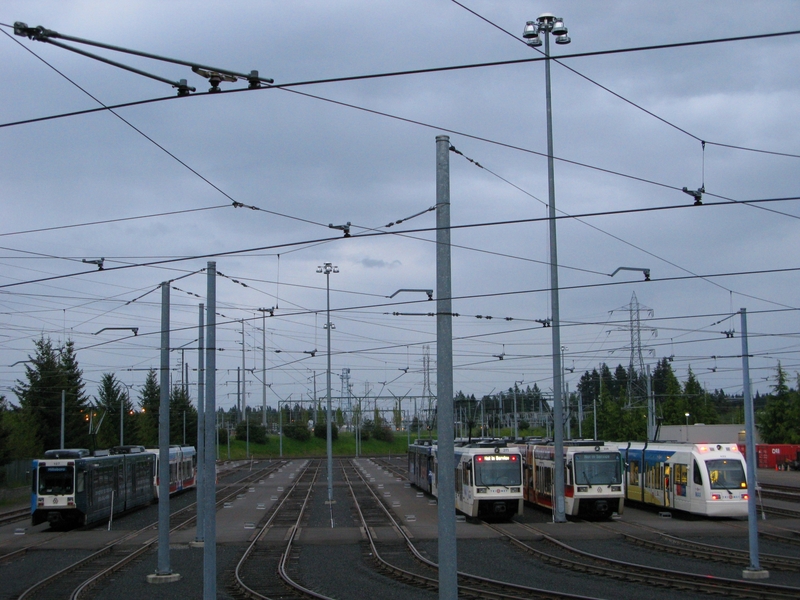 TriMet currently has four different types of train cars in use on the rail system (not counting the streetcars or the vintage trolleys). This is part one of a series of 3 posts describing the different car types. 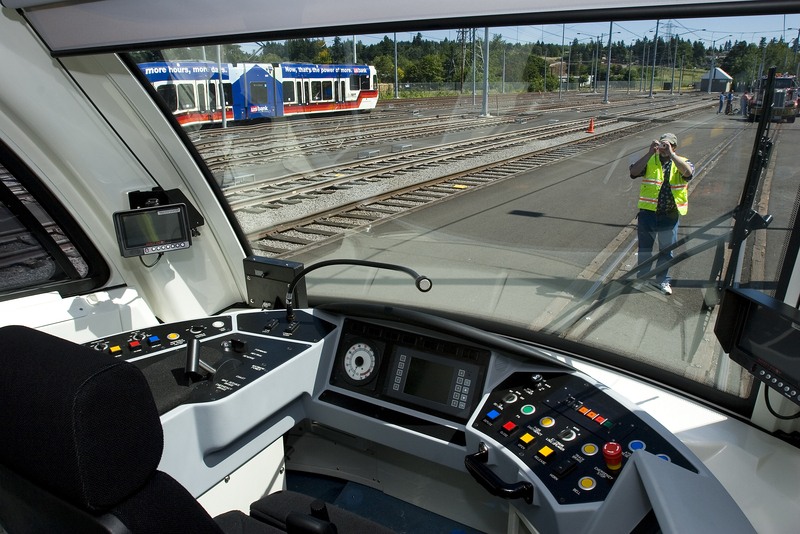 The Type 1s are the original cars (manufactured by Bombardier) from when MAX light rail service began. Each Type 1 car has two cabs, one in each end, so they are technically capable of being run as a single-car train. However, they are always coupled to a low-floor car because they are not accessible to people with mobility devices. Some of these cars will have TriMet’s new color scheme (like this one), some will have the old color scheme, and some will have full-body ads. 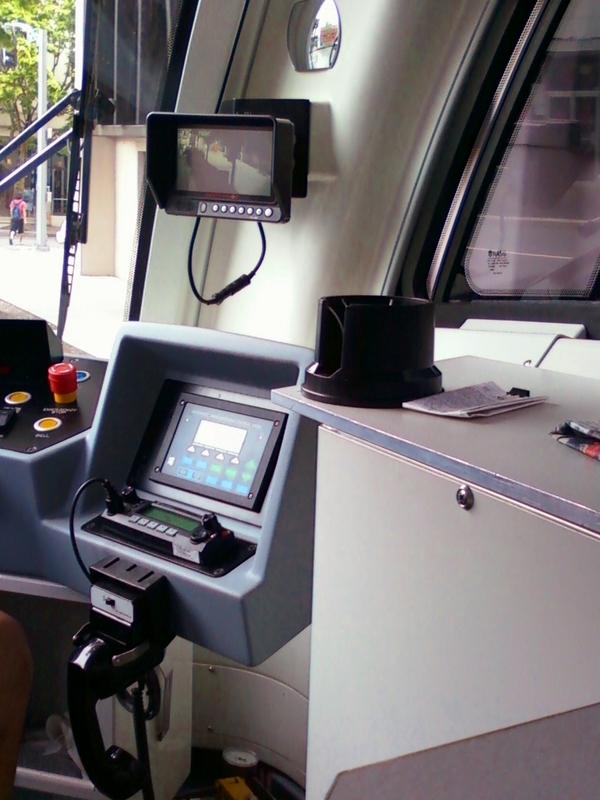 Unlike the rest of the fleet where the destination signs scroll automatically, the signs in a Type 1 must be cranked by hand. They are high floor cars, so passengers need to climb up a few steps to get into the car from the platform. In my opinion, these are the most comfortable cars (maybe due to the higher floor? 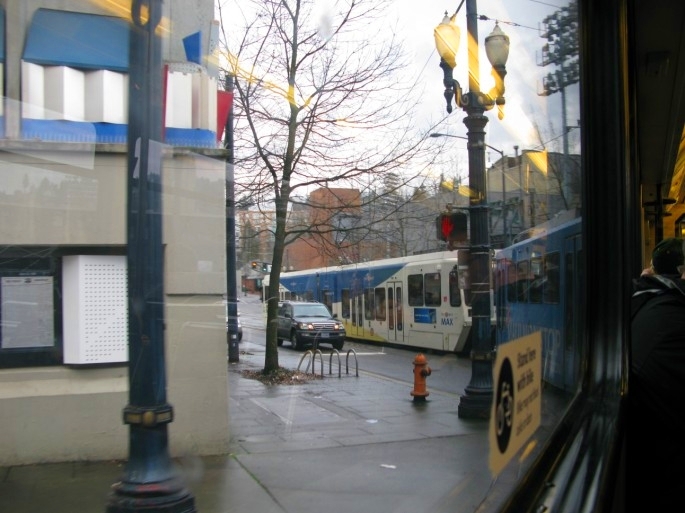 I’m actually not sure) to ride in despite their age – the original length of the Blue Line opened in 1986, but the first of these light rail cars were delivered to Portland in 1984. They’ve been somewhat modernized since then, adding HVAC systems and automated passenger announcements. These cars originally had no air conditioning and passengers had to pull a cord, similar to what buses currently use, to request their stops which were announced over the PA by the train operator. Trains now stop at all platforms, making that system unnecessary. They also have the most seats out of any of the car types, and plenty of stanchion poles to hold onto if you’re standing. Although TriMet uses Type 1s on all lines, I personally think these are best suited to the Blue Line – the steps are a pain to navigate if you’ve got luggage and are taking a Red Line train to or from the airport, and the manual sign change just seems a bad idea with the color-changing Green and Yellow lines. But hey, it’s not my decision to make, so you will see these in service on all parts of the alignment. Type 1s will always be coupled with a Type 2 or a Type 3 for wheelchair and other mobility device accessibility – here I’m in the leading car which is a Type 1, looking back to the low-floor wheelchair accessible Type 3 as the trailing car. Gone are the days of the wheelchair lifts! They’ve all been removed from the alignment. 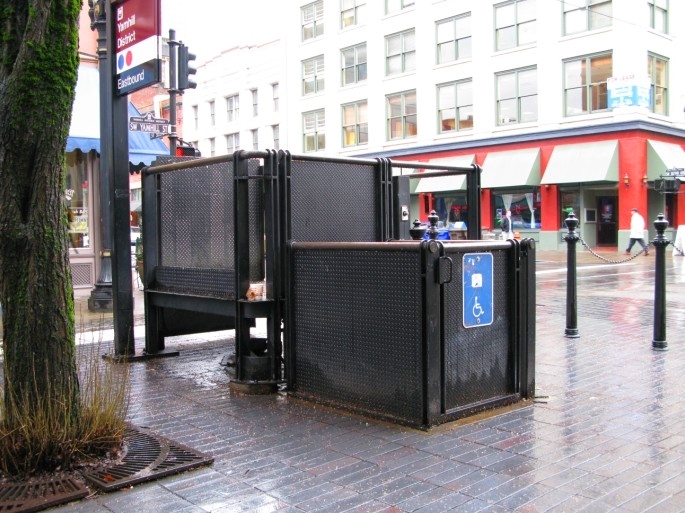 Pictured below is the last remaining one that had been used for the Vintage Trolley, but now that that only runs a few times a year and doesn’t leave the Transit Mall, this wheelchair lift has also been removed. These were time consuming to use, so the new bridgeplates that are used on the low-floor cars (those posts soon to follow) are a huge improvement for boarding passengers with mobility devices. Up next: the first low-floor light rail cars in the USA!